The firm likes long-term growth potential in beer, but stock is too expensive. 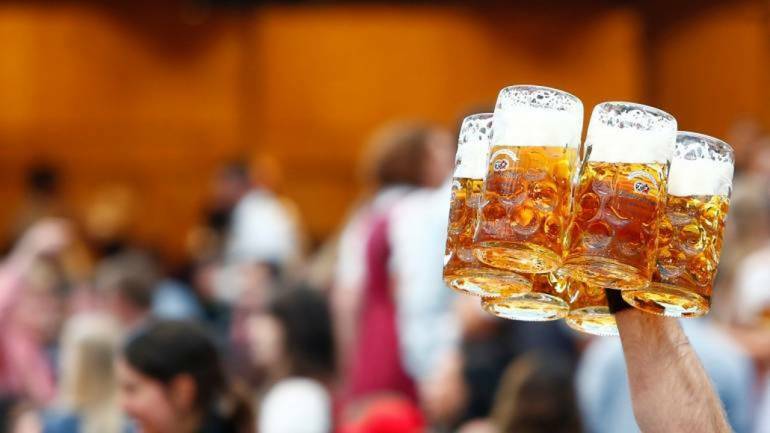 Shares of United Breweries was down 1.3 percent intraday Monday as research house Kotak Securities has maintained sell with a target price of Rs 1,100. According to research house the potential downside is 21.5 percent. During the FY2018, there is a 180-degree of swing from year-beginning to year-end. Also, return ratios has improved but cash flow generation remains subdued, it added. The share touched its 52-week high Rs 1,462.35 and 52-week low Rs 775.75 on 24 August, 2018 and 08 September, 2017, respectively. Currently, it is trading 5.21 percent below its 52-week high and 78.69 percent above its 52-week low. The share rose 75 percent in last 1 year. At 15:02 hrs United Breweries was quoting at Rs 1,388, down Rs 14.90, or 1.06 percent on the BSE.